Have you heard of CBD, the naturally occurring cannabinoid that’s taking over the health market? The U.S. market predicts these CBD products will be worth $2.1 billion by 2020. Cannabidiol (CBD) has health benefits, as well as some risks users should be aware of. 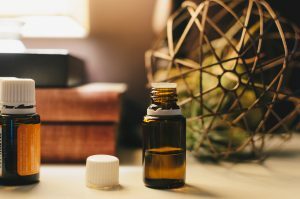 With CBD recently being removed from the World Anti-Doping Agency and the FDA approving its use for epilepsy, we can expect CBD to be coming to a store near you. Today, we will be looking into this product, what it does, the health benefits, and also the risks. CBD is one of many chemicals found in the cannabis plant, offering a therapeutic feeling when concentrated. Most commonly found in the oil form, CBD removes the mind-altering high that marijuana brings and produces significant benefits in the body. CBD can be found in multiple forms including hemp, tinctures, oils, topical products, vaporizing, and so much more. It used to be believed CBD attaches itself to receptors in the body, but instead, it tells the body to use more of its own naturally produced cannabinoids. As for risk, there isn’t enough data so far as showing any real long-term side effects. It is also important to note that CBD is not legal everywhere in the US, so be cautious and know your state laws. CBD in adults is handled well at many ranges of dosages. If you’re considering using CBD, it might be a good idea to talk to your doctor. For more information about CBD, visit WebMD here.